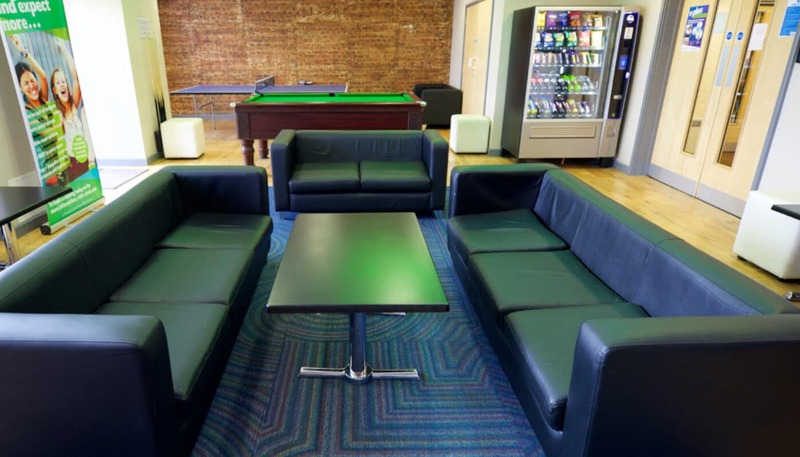 Are you a student attending Leeds Beckett University who is looking for a true student home in Leeds? If your answer is yes, Arena Village is an incredible place where you can find friends for life, make unforgettable memories and fulfil your future dreams. Located in the heart of Leeds city centre, our vibrant community is less than a 20-minute walk from the University of Leeds and an even speedier eight-minute walk away from Leeds Beckett University – a real bonus if you oversleep! When you’re not studying for that mock exam, you can discover the local hotspots on your doorstep. Whether you want to feed your cultural hunger in one of the 16 museums and galleries or treat yourself to a slap-up meal with a cocktail or two, you’ll never be bored in this northern city. Live in a comfortable, modern home during your time studying in Leeds. With en-suite bathroom, 3/4 bed and shared kitchen, our Silver Rooms are a dream! Feel a sense of luxury in the Gold Rooms at Arena Village in Leeds. With en-suite, double bed & study area, you'll have everything you need to feel at home. 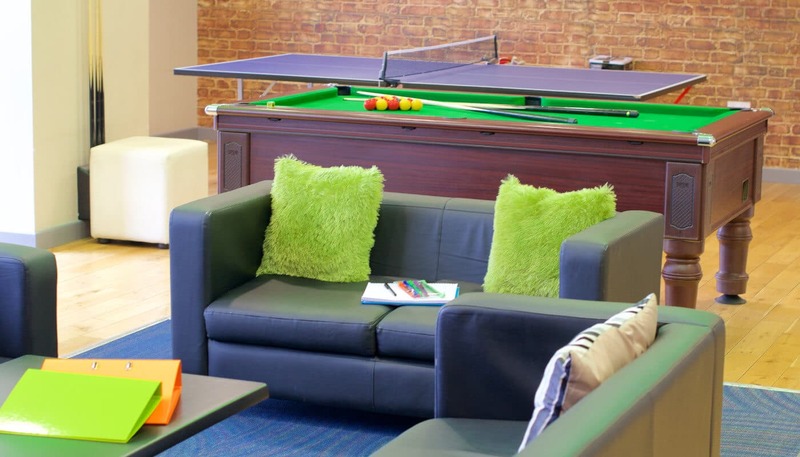 Why shouldn't your student accommodation be luxurious? Discover our Platinum Rooms in Leeds, where you can make friends and memories of a lifetime! Looking for a student home with the perfect mix of privacy & luxury? You'll love our Two Bedroom Flats in Leeds, featuring double beds and en-suite. Experience a taste of independence with our spacious Studio Rooms. With double bed, en-suite and private kitchen and dining area, you'll feel right at home! Live a life of student luxury in a premium One Bedroom Flat in Leeds. The en-suite, double bed and kitchen & dining area make this a dream home for two. What types of accommodation are available in Leeds? We have a selection of accommodation to suit your style and budget. Choose between our Silver, Gold and Platinum Rooms, which come with en-suite, double bed and study area, so you can recharge your batteries with a power nap or study your socks off for your end-of-term exams. These comfortable flats also include a shared kitchen where you can get to know your flatmates during takeaway night or pre-drinks. The kitchen comes with a fridge freezer and oven - not to forget the trusty microwave for when you don’t feel up to cooking (there’s no shame in a microwave meal for one!) If you fancy a little more privacy, why not explore our Studio Rooms and one or two bedroom flats? With double beds, en-suite bathrooms and a separate kitchen and dining area, you’ll have everything you need during your stay. Which utilities are included with your rent? Don’t worry about unexpected utility bills and budgeting your student loan for water, electricity and internet costs, as the weekly rate you pay at Arena Village is all-inclusive. We also provide 24-hour security and contents insurance for your peace of mind. Whenever you feel like a change of scenery, you can improve your fitness levels in the free gym or use our handy bike storage after a peaceful ride along the River Aire. Did we mention you’re in the heart of Leeds? What makes this property so special is the views of the cityscape, so you can wake up with a smile! Between lectures and seminars, you’ll be able to experience some of what this quant city has to offer.